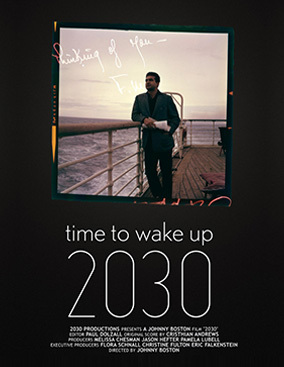 Johnny Boston is the director of 2030. Johnny has over twenty years of experience in developing and producing television, film, and web content. His eclectic background included producing and directing music videos, feature documentaries, short-docs, tribute films, and corporate communication tools for global organizations. Boston utilizes his extensive experience in traditional film and video to create unique and cutting edge new media content with a distinct visual flair and commitment to telling a compelling story. Producer(s): Melissa Chesman, Jason Hefter, Pam Lubell, Raw Media Network, Inc.